No ring walk music. Watching the fight back on Channel 5 they had music, but obviously Richie Woodhall who was commentating couldn’t hear it, as he made a comment that it “would be nice to have some ring walk music” which would have sounded very odd to those who didn’t attend. Post fight interviews were not played out to those in the arena. We were actually asked to be quiet during the interviews we couldn’t hear! 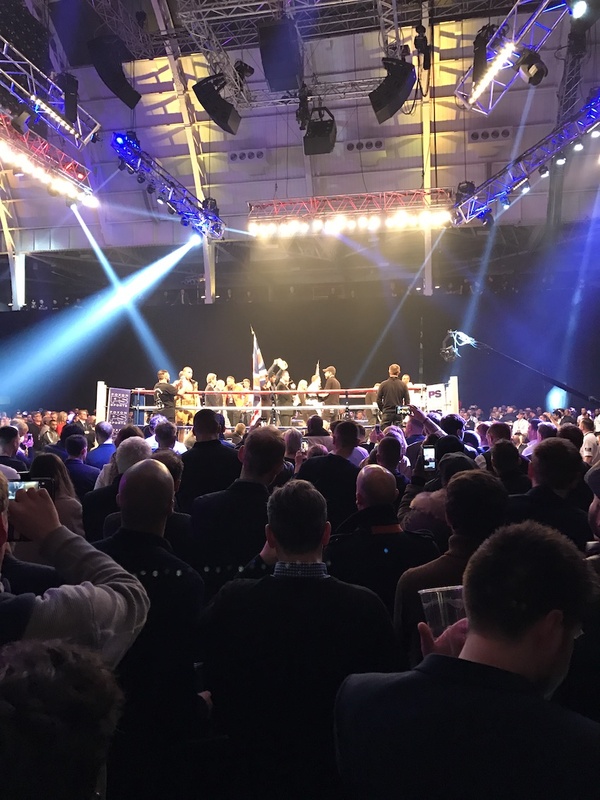 After the Eubank/Blackwell fight there was a huge delay before the Hughie Fury fight, with no communication as to why, with many leaving assuming it wasn’t going to happen. I asked several stewards, who didn’t even know if there was another fight scheduled. So with this in mind, whilst it’s fresh in mine, I thought I’d throw out a bit of feedback for Poxon Sports on this event. Don’t get me wrong, I’m sure organising events like this is hard. My object is to give, as the consumer, constructive feedback on the event which will hopefully go towards improving the experience for me and others at future events. So here are my 4 things to be improved on, in order of importance. These late fight nights are killers if you have kids and need to do stuff the day after. Getting old! 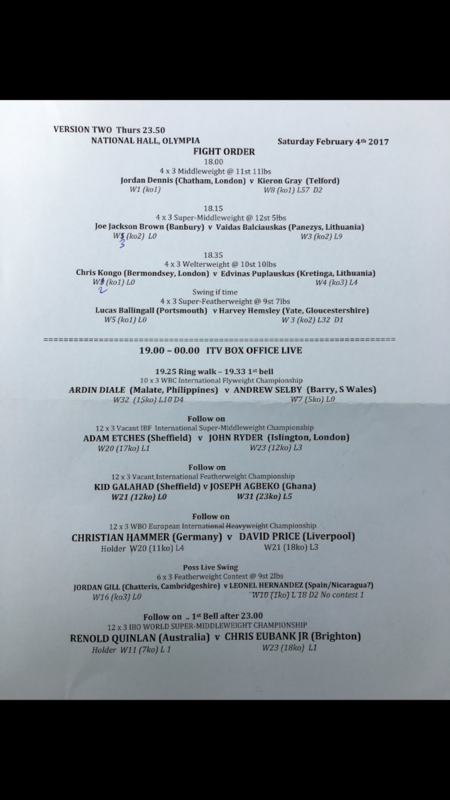 Followed by: Adam Etches v John Ryder, Kid Galahad v Joseph Agbeko. Would have been great if this was comunicated to the paying crowd. I asked a few stewards, who were equally confused! As is the way with boxing, the bouts on earlier in the evening are of less interest to most of those there. It would be been nice however if the walkways between seating areas could be off bounds when fights are taking place. It’s frustrating having groups of people standing around in front of you chatting and stewards not doing anything about it. There were two huge screens for those watching at the back of the seating areas. There were excellent quality, gave a great view of the eye injury to Hernandez during the Galahad. Would have been even better if these screens had the round number and time remaining on them. Small point I know, but every little counts. Grips aside, I had a great night. Was great to see the hugely talented Selby, slick skills from Kid Gallhad and the war between Etches and Ryder. Really feel for his David Price, it felt just like the second Tony Thompson fight where he just ran out of steam. Was a surprise to see Chris Kongo on so late, but certainly one to watch and has a good following. 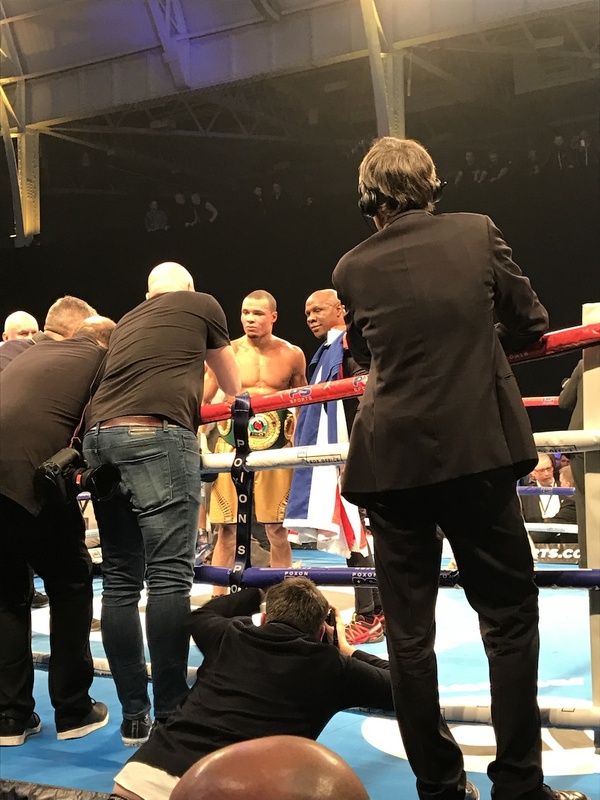 Quinlan proved to be much tougher than expected – but the real tests lie ahead for Team Eubank. I fell for it last time when they called out GGG, let’s hope this journey arrives at the destination we all want.